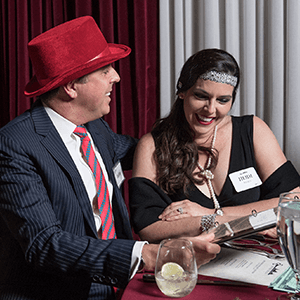 Chicago Murder Mystery Dinner Parties | The Murder Mystery Co. 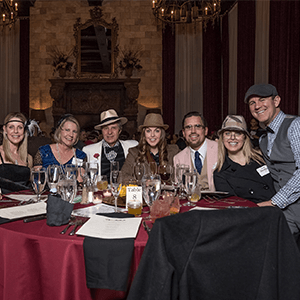 Murder mystery dinner parties in Chicago with The Murder Mystery Co. are crafted to make a one-of-a-kind experience that is perfect for any event! Everyone gets involved in the interactive comedy and each mystery dinner party is guaranteed to have something for everyone. 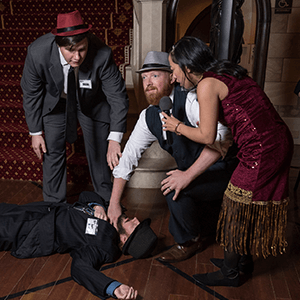 Live-action murder mystery parties are Chicago's most unique and engaging way to entertain for privately hosted events. 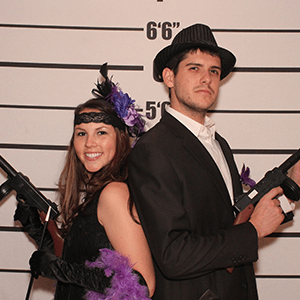 The Murder Mystery Company is Chicago’s expert in Mystery Entertainment. As the Windy City's most popular mystery dinner party company, we are guaranteed to provide the perfect event for you. Whether you are looking for a night on the town or a private party, we have an unforgettable experience waiting for you. 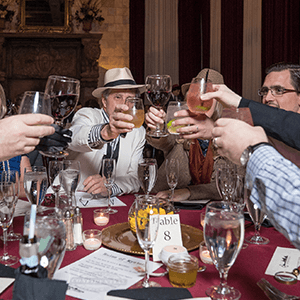 Sink yourself into a world of Clue style mystery where you get to solve the crime when you join our mystery mavens in Chicago for three courses of mystery, intrigue, and murder, with a three course dinner to top it off! 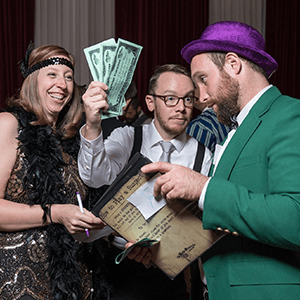 Host a Chicago Murder Mystery Party!